San Marcos City Hall is located at 1 Civic Center Drive, San Marcos, CA 92069; phone: 760-744-1050. Photo: Looking north toward Lake San Marcos. Photographed by User:Taylorj661 (own work), 2009, [cc0-by-1.0 (creativecommons.org/publicdomain/zero/1.0/deed.en], via Wikimedia Commons, accessed January, 2014. According to legend, San Luis Rey Mission livestock were robbed by a small band of Native Americans in the late 1700s. Fleeing the Spanish troops, the Native Americans escaped to the hills. While in pursuit of their livestock, the Spaniards came upon a fertile valley in 1797, which was named Los Vallecitos de San Marcos (Little Valleys of Saint Mark) to honor the day of discovery: April 25, or "St. Mark's Day." On April 22, 1840, Governor Juan Bautista Alvarado granted Los Vallecitos de San Marcos to his relative, Jose Mario Alvarado. In 1846, Native Americans killed Jose Alvarado and the land was left to his wife. She then sold the land to Lorenzo Soto. In the late 1850s, Soto sold part of his land to Cave Couts. Soon his family was raising livestock. Although Cave Couts owned the land, Major Gustavus French Merriam from Topeka, Kansas, made the first permanent settlement. Merriam homesteaded 160 acres in the north Twin Oaks Valley area and began wine and honey production. After Major Merriam's settlement, German and Dutch immigrants began moving into the area in the early 1880s. In 1883, a few miles south of the settlement, John H. Barham founded the first town in the area, aptly naming it Barham. By 1884, the town of Barham had a post office, blacksmith, feed store, and weekly newspaper. In 1887, the San Marcos Land Company bought almost all of the San Marcos land formerly owned by the Couts family and promptly divided the land into tracts. Soon the beautiful hills began attracting home-seekers. The original town of San Marcos was at the intersection of what is now Grand Avenue and Rancho Santa Fe Road. In 1887, the Santa Fe Railroad announced that it was going to lay tracks through the valley, but, to the disappointment of the citizens, the tracks were laid one mile away from the center of the town. By 1896, San Marcos was a community with its own stores, post office, blacksmith, and railroad depot. In 1903, the town appeared to be going downhill, so the people picked up and moved along the railroad tracks to what now are Mission Road and Pico Avenue. In 1905, the town had every convenience, including rural mail delivery and telephone service. The first school in the area, which had started in Barham in 1880, was moved in 1889 to San Marcos. Later that same year, the Richland School was built, being the second school in San Marcos. The main business in San Marcos in the 1800s and early 1900s was farming. Then in the mid-1900s, dairies and poultry production became a big part of the economy in the town. San Marcos initially started to grow rapidly in 1956 when the first water from the Colorado River arrived. After the arrival of water, several small businesses started and the population increased to 2,500. In 1950, the first dirt was turned for construction of what is now State Route 78. San Marcos' first high school was completed in June 1961. San Marcos incorporated as a city on January 28, 1963. 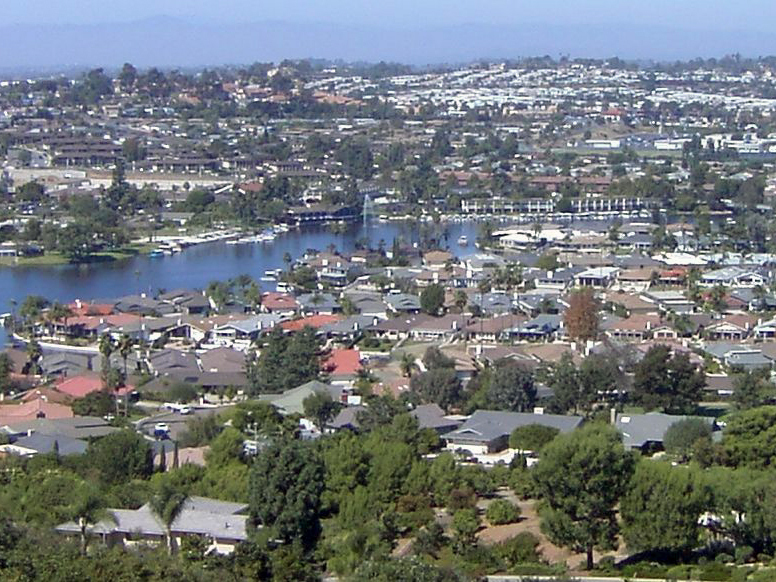 Through the 1960s, the City grew by a few thousand new residents, but by the 1970s, San Marcos was flourishing as the third fastest-growing city in the state, with a population of 17,479 by 1980. Between the years of 1980 and 1990, San Marcos more than doubled its population to 38,974. By 2010, the population of the City had grown to 83,781, a 52% growth from the 2000 population. City of San Marcos, California, General Plan: A Brief History, 2012, www.ci.san-marcos-ca.us, accessed January, 2014.